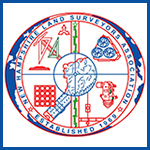 Why am I a Surveyor? A Day in the Life of a Surveyor: The Compass is Always Correct, Right? A Day in the Life of a Surveyor: View from the Top of a Tree!